Fountain has potentially seen a new alliance added to the list of groups which have met their demise in the region. The-Culture <-T C-> has had to leave Fountain after hemorrhaging half of their numbers due to a lack of activity. The Initiative. <INIT.> have now swept through the region, taking sovereignty from T-C. Despite successfully becoming the dominant force in Fountain, controlling one half of the region, running a renter group and taking much of its moons, their success has proven to be their weakness. Unable to properly deploy to satiate their members’ need for content, and the other local entities not being forthcoming with satisfying content, multiple corporations have left T-C. They have now left Fountain. Curt: At what point do you feel the situation in Fountain began to deteriorate for T-C’s members? Harvey Skywarker: The situation began to deteriorate in Fountain, probably, from the beginning of this year, we basically had secured our position, fighting off the various campaigns against us by Goons, RMC, and anyone else that had had designs on evicting us from Fountain. 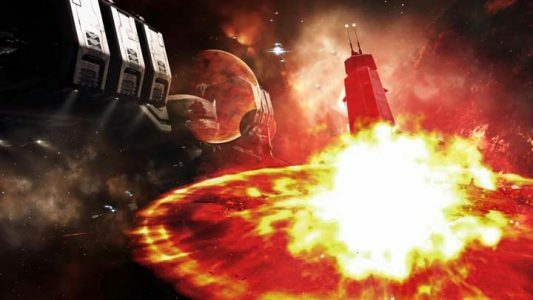 Curt: You guys recently lost a Fortizar in Derelik. Was this a red herring, or a hiccup in a plan to move there? Harvey Skywarker: The Derelik Fort was to be our staging and new home. Reza Najafi, CEO of SniggWaffe who recently joined PL, did not get the memo that PL were happy for us to online that Fort, and once Reza’s fleet was formed and shooting, PL leadership weren’t about to tell him to pack up and stand down, which is fair enough. To be honest, we should have given PL a bit more warning that it was onlining, so it’s our own fault, we’ve been pretty busy packing up our empire, and doing the logistics involved, so it was a case of over-worked leadership on our part. Curt: Has the onset of The Imperium, and The Heathens, caused you to speed up the move? Harvey Skywarker: The Imperium decided to make another campaign into Fountain because I made no effort to keep secret that T-C were leaving. I believe it was around the 6th of September that I returned from my summer holidays and announced to all T-C CEOs and directors that “we will be completely out of Fountain by the 24th of October, which is 50 days away”. So all the hurf about us leaving because of the pressure applied by entities who would like to see our downfall is incorrect. We were sitting pretty in Fountain, having defeated all our enemies and fallen into a dormant-type state over the summer. Curt: Any hints at what’s in store for T-C, going forward? Harvey Skywarker: We are in the South and want to get involved in, what I believe to be, the building conflict down here. 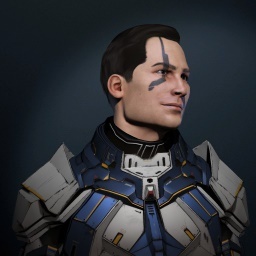 We may take mercenary contracts but I’ll see how we recover from the transition before making promises to people for ISK. The future looks bright for my corp, and if the other T-C corps that struggled to stay active in Fountain recover their drive to fight we’ll be in good stead for future wars. Member alliance of The Imperium, The Initiative., are in the process of claiming the sovereignty that T-C have abandoned; some of it is to be used as their new rental space. Curt: Does The Initiative. plan on living in Fountain? Sister Bliss: Fountain has always been one of the Universe’ iconic destinations and we’re delighted to have the opportunity as new caretaker to experience its majesty first-hand. Curt: Have you encountered much resistance from local entities at all? Have T-C put up much of a fight as they leave? Sister Bliss: The-Culture have been very accommodating in supporting our new residency and are actively supporting a smooth transition; some of their members whilst departing for new horizons are making generous donations towards the upkeep, and restoration fund, we’re allocating. Sister Bliss: A benefactor who wishes to remain anonymous has kindly donated 25b towards the maintenance of the famed hanging gardens of Pegasus. We have pledged to fully restore and re-open this long-neglected wonder for the galaxy to enjoy. Curt: How do you plan on dealing with other entities in Fountain such as Fountain Core or The Heathens? Curt: How would you reply to naysayers who claim that Fountain is the graveyard of alliances that live there? Sister Bliss: I say to these people, the only graveyard is a dull mind. Like the regions of Curse and Syndicate, we will demonstrate the power of fresh leadership. Curt: How have the past few months been for The Heathens? Wallymarts: The past few months for Heathens has been weird. After Scalding Pass and Wicked Creek, where we basically self destructed all our sov and moved out, Heathens kind of stopped existing. Feign Disorder reset Iron and Salt the Earth, because we were no longer with them, and we suffered a coup that split our members, Feign was essentially on its way out. I rejoined and immediately created a campaign to Querious. We based out of Gehi and started to rebuild the corp, we first went back to small gang to build our skills as pilots and to also relight the fire. We met up with Iron of all people, in Querious. We had no idea they were also going there for content and sure enough we started fleeting with them. Iron went off to Fountain to deploy and after a month we decided to go help them. Once we moved up to Fountain we lived out of YZ-LQL since it was an NPC system and right at the mouth of Iron’s pocket. We re-evaluated the doctrines we were using and made some changes and pretty much remade The Heathens. We found T-C to be a pretty competent enemy, however, the majority of their member base was EUTZ, so timers were near impossible to create against them. We shifted our focus to camping their renters, Dot Dot Dot. We noticed T-C USTZ became much more active, and they began reinforcing our space. We began taking notes on what they flew, ship scanners to find exact fits and began creating doctrines to specifically counter what they flew. We saw a large flaw in their 10mn Arty Lokis so we made a fleet of Megathrons to drop on them to defend a timer. We had zero logi and took out a decent amount of their Lokis with just Megas and spreading webs, it was a pretty fun fight. After that they switched to a 10mn HML comp, which is very very odd, however we already had a counter for that with Beam Nightmares. We firewalled most of their DPS and were able to apply near perfectly to their incredibly slow Lokis and they became a non-issue once they stopped using new comps. One of their close blues, RELAX, became important to us as one of their members, Deckhard Aura decided to flip sides and we now have Wild.Hunt in Heathens. They have been a great addition and meshed well with our group. He has been doing great work at building, both members and industry, to help with our push on T-C. However, now that T-C is gone, we have taken a look at ourselves and prioritized what is most important. A Coalition needs the ability to produce caps on its own. That was the first glaring issue we saw. So all three alliances in Heathens dropped a Fortizar and an Azbel on the same day, basically to create our foundation. We can move minerals in from highsec and produce any capitals we need to help fuel our needs. We also found we are actually very small compared to other organizations, so we have used this lul in nearby content to recruit. Wild.Hunt and Iron have grown rapidly from 6 months ago, and Feign is slowly rebuilding to what they were before. Recruitment has been high on our list to regrow. Curt: How does T-C leaving affect the amount of content that you guys can get? Wallymarts: With T-C gone, we have gone to WH diving for content and it has been a very enjoyable experience for everyone involved. Our EU and USTZ’s have been pretty active and we are learning to pilot better by not doing mass CTAs with 100 vs 100 fights. Everyone has been pretty pleased with what is going on so far. Curt: What’s your thoughts on INIT. moving in? Wallymarts: Heathens has had a pretty good relationship with Init in the past, so them taking up all of T-C space has been a non-issue. We have already worked with them on the area, and we are in a pretty good situation involving them. The near future for Heathens in my mind look like a good growing period. We, Heathens, have recently been pushed out of our comfy homes in the South, suffered some membership losses across the board, and the needed stability for production. This is the perfect time to focus on membership and production. However, we are not going the way of other alliances that turn ISK-making into a priority. The moment we find a wormhole within 15 jumps of our pockets, we are going to dive in and go make someone PVP with us. We are a PVP coalition, we will always find a fight. *Author’s note: This interview was conducted separately from a similar interview recently published on Imperium News Network. Curt Adrano is a member of Reckless-Endangerment in Manifesto., and an editor at EveNews24. Contact him at Curt#8110 on Discord. Hey there. I discovered your blog via Google whilst searching for a related matter, your website came up. It looks great. I’ve bookmarked it in my google bookmarks to come back then. Hello there. I found your web site via Google even as looking for a comparable subject, your website got here up. It looks good. I have bookmarked it in my google bookmarks to visit then. Hiya, I am really glad I’ve found this info. Nowadays bloggers publish only about gossip and net stuff and this is actually irritating. A good website with exciting content, that is what I need. Thank you for making this site, and I’ll be visiting again. Do you do newsletters by email? Hiya, I’m really glad I’ve found this information. Today bloggers publish just about gossip and net stuff and this is really frustrating. A good web site with exciting content, this is what I need. Thanks for making this site, and I’ll be visiting again. Do you do newsletters by email? Thank you for all your hard work on this web page. Debby really loves conducting investigations and it’s really obvious why. I learn all relating to the powerful tactic you convey simple guidelines on your blog and as well as inspire response from some others on the area of interest then our own simple princess is in fact learning a lot. Take pleasure in the remaining portion of the year. You are always performing a glorious job. Hiya, I am really glad I have found this information. Today bloggers publish just about gossip and net stuff and this is really frustrating. A good website with exciting content, that’s what I need. Thank you for making this web site, and I’ll be visiting again. Do you do newsletters by email? Hiya, I am really glad I’ve found this information. Today bloggers publish just about gossip and internet stuff and this is actually annoying. A good website with interesting content, this is what I need. Thanks for making this site, and I’ll be visiting again. Do you do newsletters by email? Hiya, I’m really glad I have found this information. Today bloggers publish just about gossip and net stuff and this is actually frustrating. A good website with exciting content, that is what I need. Thanks for making this site, and I’ll be visiting again. Do you do newsletters by email? Hi there. I discovered your site by means of Google at the same time as searching for a comparable matter, your website got here up. It looks great. I’ve bookmarked it in my google bookmarks to visit then. Hi there. I discovered your blog by means of Google while looking for a comparable matter, your web site came up. It appears good. I have bookmarked it in my google bookmarks to visit then. To put it simply, just how do i look for blog sites that fit what I want to review? Does any person understand exactly how to CHECK OUT blog sites by subject or whatever on blog writer?. Hiya, I am really glad I have found this info. Today bloggers publish only about gossip and net stuff and this is actually irritating. A good site with exciting content, that’s what I need. Thank you for making this site, and I’ll be visiting again. Do you do newsletters by email?